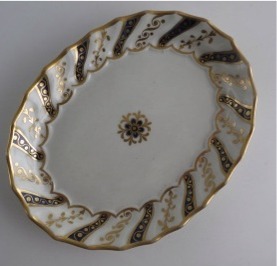 A stunning Late Eighteenth Century Worcester Teapot Stand, c1795. 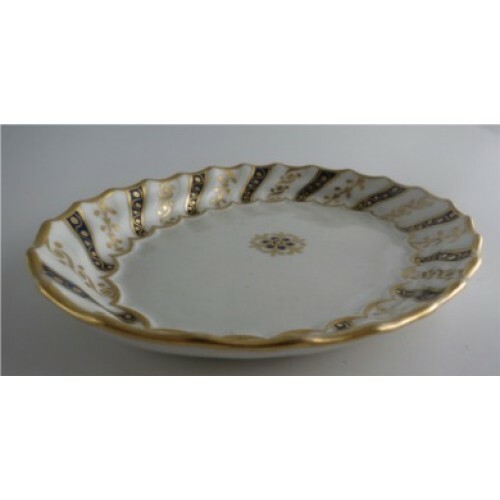 This delightful teapot stand is of oval shape with spiral shanked moulded rim. 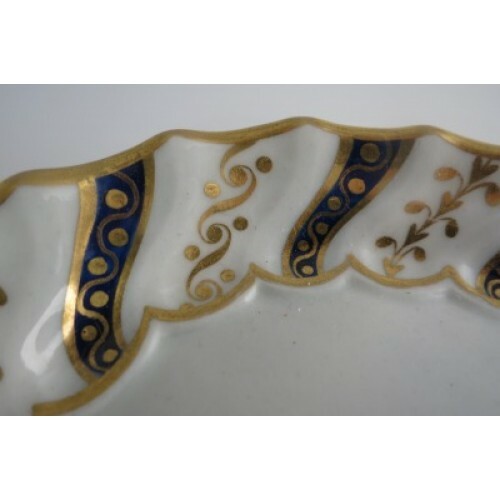 The raised moulded rim is beautifully decorated in fine honey coloured gilding on spiral bands of underglaze cobalt blue. 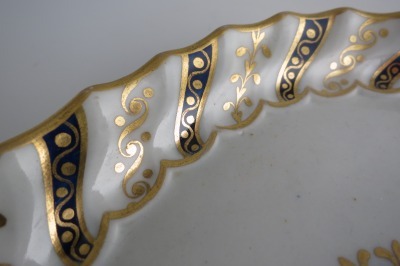 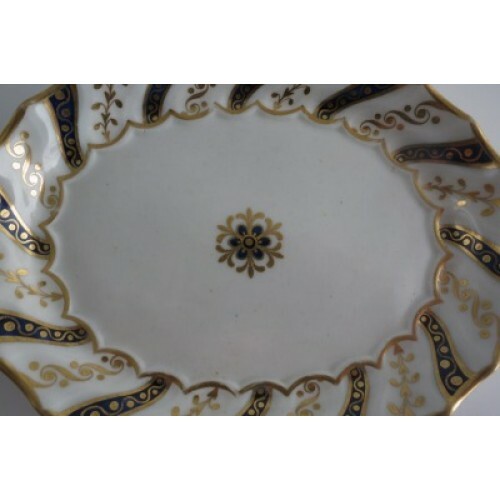 There is a wavy gilded line at the base of the rim as well as the gilded scalloped rim of the teapot stand. 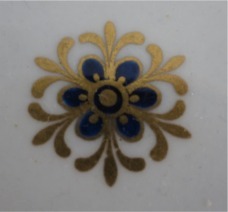 In the centre of the teapot stand is an implied flower with cobalt blue flower with delicate gilded embellishments. 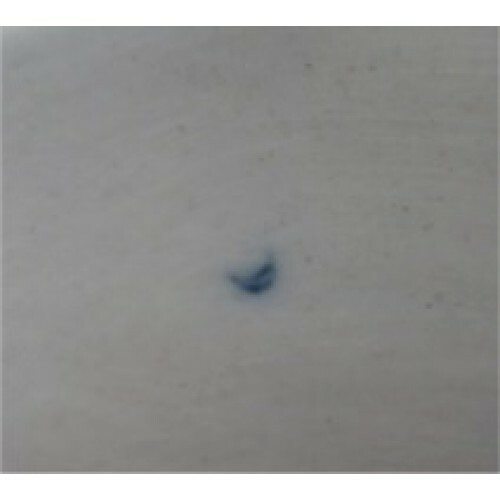 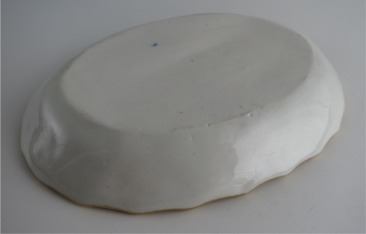 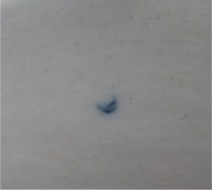 On the underside of the teapot stand is the underglaze blue open crescent mark of the famous Worcester factory. 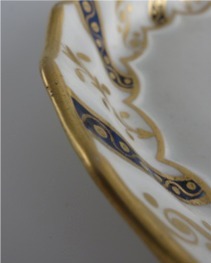 This stand dates from c1795. 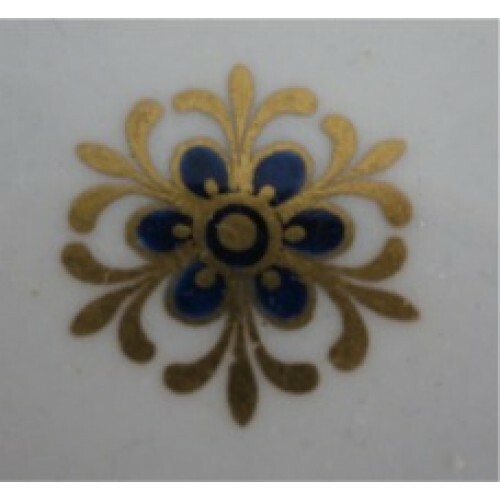 This charming and most decorative teapot stand is in excellent condition with no chips, cracks, repairs or restoration. 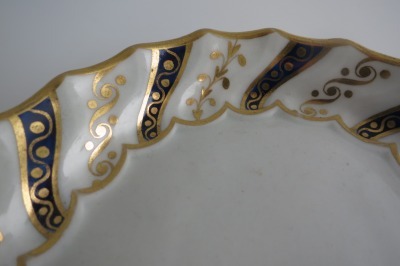 The gilding is in really great order showing no to little signs of wear. 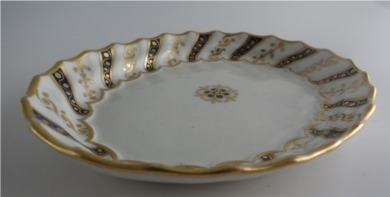 A fine Eighteenth Century Worcester piece. 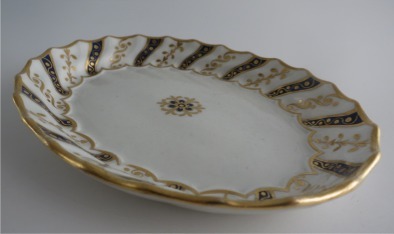 Description A stunning Late Eighteenth Century Worcester Teapot Stand, c1795. 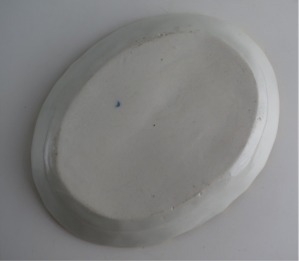 This delightful teapot stand is of oval shape with spiral shanked moulded rim. 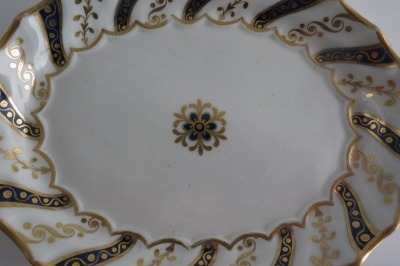 Condition (See main description for full details and pictures) This charming and most decorative teapot stand is in excellent condition with no chips, cracks, repairs or restoration. 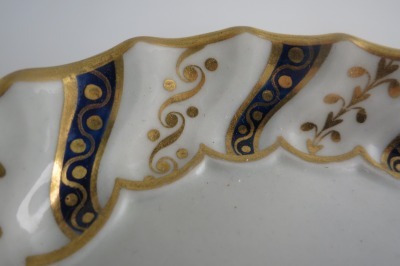 The gilding is in really great order showing no to little signs of wear. A fine Eighteenth Century Worcester piece.